Businesses invest increasingly more of their resources in the branded community building and branded content. We’ve seen a number of successful examples of brands like Hewlett Packard, Intel and Blackberry in the past. American Express stood out in 2010 by winning the People’s Choice award in the nontech company category for its OPEN Forum small-business initiative. Sears Electronics, kicks off 2011 by emphasizing its online and offline social presence and launching the Sears Blue Blogger Crew at 2011 International CES. The members of the Sears Blue Blogger Crew are established tech bloggers that aim to help Sears Electronics engage with its customers with consumer electronics-related content and stimulate online conversation. We interviewed Karen Austin, President of Consumer Electronics for Sears Holdings on the launch of the Sears Blue Blogger Crew and the challenges of branded community building and branded content. Will you incorporate Sears Blue Blogger Crew with MySears? Absolutely. During CES, we plan on aggregating and repurposing content shared by the five participating bloggers on the MySears blog. Looking into 2011, we will also potentially seek additional opportunities to incorporate their content into the community through guides and other means. What were your criteria for the selection of the bloggers that form the Sears Blue Blogger Crew? When researching bloggers for consideration, we wanted to pick the right bloggers who have a track record of solid content and thinking about their content areas. Andru Edwards (GearLive) and Kelly Clay (Lockergnome) are recognized bloggers in the technology field. Jenna Hatfield (Stop, Drop and Blog) and Kris Cain (LittleTechGirl) write about photography and technology, but are mom-centric in their approach. Barbara Rozgonyi (wiredPRworks) knows technology and small business. Together, we think the five bloggers we have engaged really represent a broad reach within the consumer electronics industry and beyond, allowing us to reach our current and potential customers. What objective is Sears setting with Sears Blue Blogger Crew and how will you measure your success? We’ve done blogger outreach before, but since this is our first Sears Blue Crew-branded foray into the blogger space, we’re looking to gain several things: trust, customer insight and great content.From there, we hope to boost our digital following, as well as our share of voice. Just by having a presence at CES in this capacity, we’re able to communicate with people we who may not have considered Sears Consumer Electronics otherwise. How will Sears Blue Blogger Crew mix the off line and online world? In October, we executed our first consumer electronics in-store product demo, the Sears Megapixel Meetup. We invited nine locally based bloggers to our store on State Street in Chicago, IL for an opportunity to demo the new Samsung DualView camera. From the store, we went on a “photowalk” around Chicago’s Loop. Through the Blue Blogger Crew, we’ll have an even bigger opportunity to create events like this in multiple markets, and through them, extend our digital reach. You can see some highlights from the meetup here. 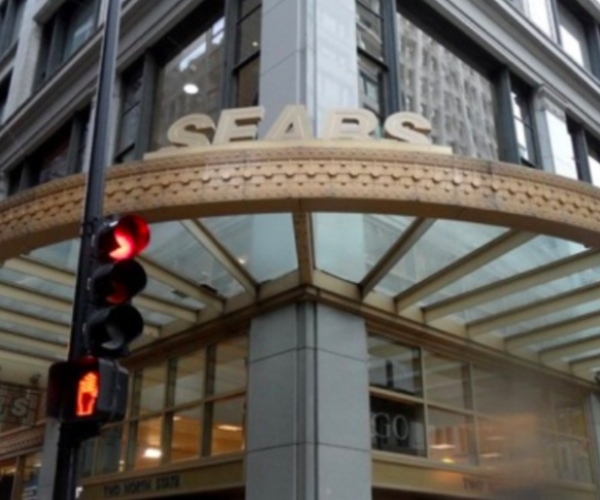 Does Sears incorporate the community’s feedback into the company’s function and if yes how? Yes. With Kmart’s gaming business, for instance, we’ve started incorporating customer reviews onto store shelves for select games. We’re also asking customers about the types of deals they want to see (e.g. BOGO, B2G1) and are incorporating their feedback into our approach. On the Sears side, we are planning to offer more Facebook-exclusive deals based on what our fans want to see from us. How will we know? We’re asking them. What do you consider the greatest challenge in building an online community and engaging customers through branded content? Transparency is always a big challenge. We’ve encouraged and we will continue to encourage transparency in our bloggers’ content. We want them to give honest, constructive opinions of products and technology that will be represented at CES and beyond. For example at CES, we encourage the Sears Blue Blogger Crew to provide their feedback and insights into what they see in a way that is not only constructive, but will also be useful to their readers and our customers. Through this honesty, we think we can continue to build consumer trust in the Sears brand. How do you see the branded content evolving in 2011? Will Sears Blue Blogger Crew content be mobile friendly, offer location-based content? We’re always looking for opportunities to offer content that’s available anywhere, such as QR codes, on store shelves and on an optimized MySears blog. This said, SHC continues to seek the right opportunities to offer customers location-based content and coupons. In 2010 we often heard the phrase “every company is a media company”, but where does the the line lie between creating branding content and becoming a publisher? Brands must create content that’s worth talking about, while also creating content that addresses what customers need to know, as opposed to what they think customers want to know. How do brands know what customers need to know? They ask them. That’s what we’re doing through our blog, our social media channels and through the Sears Blue Blogger Crew. Looks like, with more brands creating content online, the greatest challenges they will face in 2011 will be to stay relevant, stand out in comparison to their competition’s content and translate their online efforts to sales. What do you see as the greatest challenges of branded community building and content for 2011?